"Over a million Jews have fought in the armies of the United Nations. Six millions were put to death by Hitler and his satellites. The survivors are still waiting for justice and a settlement that will assure them a place as a free people in the family of nations. In the forefront of the struggle for this settlement is the Jewish community of Palestine, small but vigorous, steeled in a pioneering effort of three generations." "This book, in no way a full account of the military contribution of Jewish Palestine in this war, tells something of the way in which Jewish men and women from Palestine sought to play their part in the Forces. 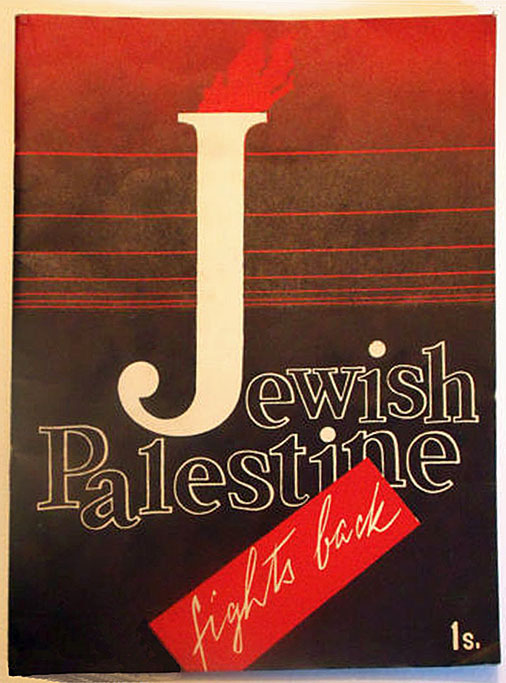 It may, incidentally, convey something of that spirit which animates Jews when reunited with their ancestral soil and qualifies them for leadership in the struggle for a large-scale Jewish immigration into Palestine and for a Jewish State."